In terms of technical and technological development of economy, whereas the participation of activities with low technology in the Republic is 36.4%, in ZR it is 20.1%, of those with medium technology it is 45.4% and in ZR it is 571%, and of the activities with high technology it is 18.3% and in ZR it is 22.8%. In terms of its foreign trade, the economy of this region is highly export-oriented and it is constantly making a surplus in this area. Export is dominated by the products made by processing non-ferrous metals (aluminium amd copper), fruit (raspberries), products of military industry (ammunition) and finished textile products. Metal and electroindustry are strategically important for the economic development of the region considering the fact that good results are made in the sector of production of primary metals (copper and aluminium processing), where 21,526 people are employed. Products made in the processing of non-ferrous metals and products of military industry have a major part in export. (The coverage of import by export in metal and electroindustry is much higher than the republic profile.) Textile industry is well-equipped technically and technologically and has qualified labour. Zlatibor Region as among the regions in which civil engineering is developed. Trade is considerably falling behind other economic activities as well as other larger towns in the neighbourhood. 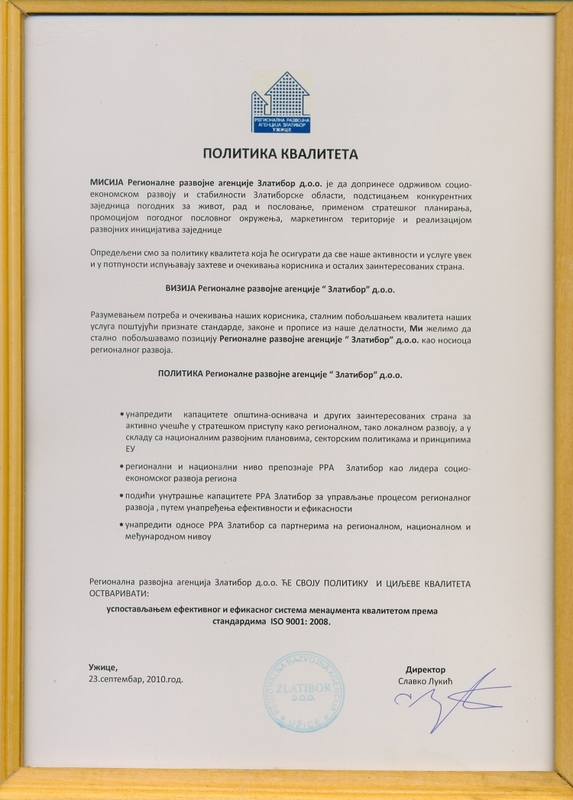 Considering the fact that in terms of participation of small and medium enterprises (SMEs) ZR is in the group of regions with medium participation, and the municipality of Čajetina belongs to the group of municipalities with a dynamic development of this sector, this sector offers great possibilities for the improvement of the general competitiveness of the Region. In the structure of processing industry, the production of metals and standard metal products has the highest participation (28.1%), then come other non-metal minerals (18.8%) and the production of textiles and textile products (11.9%).